Bitcoin economist, Dr. Saifedean Ammous, recently predicted that Bitcoin was capable of bringing back the economy similar to the Gold Standard. 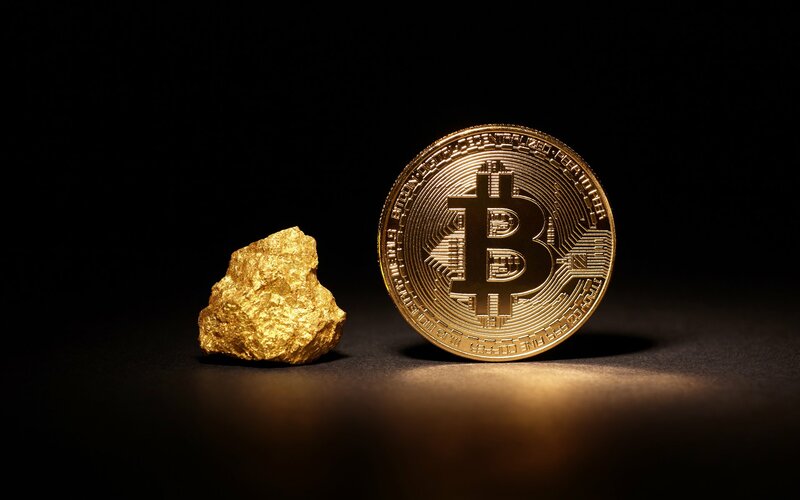 Speaking recently to Express, Lebanese Professor and Bitcoin economist, Dr. Saifedean Ammous predicted that the Bitcoin would transform the economy to imitate the Gold Standard. The academic also wrote a book on the subject, titled The Bitcoin Standard: The Decentralized Alternative to Central Banking. Dr. Ammous also said that Bitcoins decentralized system would make it almost impossible for governments to control. Also, Bitcoin’s economic reality, as the professor put it, would attract people to adopt the virtual currency, the way gold compelled people in the past. If bitcoin’s economic incentive system continues to work and survive the way it has over the past ten years, it doesn’t matter what mainstream financial institutions think – it doesn’t matter what anyone thinks – it is just going to be the economic reality that compels people to act upon it. The Bitcoin economist, however, stated that he wasn’t trying to sell BTC or force people/institutions to invest in the virtual currency. Dr. Ammous simply reported that he was only studying the digital currency and its dynamics. The professor’s prediction comes in the midst of the recent cryptocurrency market collapse. The digital currency market experienced wild price swings, with the major virtual currencies taking a plunge. The price of BTC further plummeted, barely staying within the $4,300 range. Bitcoin Price Dip: A Hopeful Revival or an Unending Fall? Despite the current market bloodbath, some financial experts and Bitcoin aficionados are still bullish. Some others, however, continue to predict doom for the industry, stating that virtual currency is a bubble about to burst. One of the foremost Bitcoin Bulls, Tom Lee, declared that BTC would hit $15,000 by the end of 2018. This was, however, lower than his previous $25,000 forecast. The famous Bitcoin bull remains unfazed, despite the current price slump. Another Bitcoin bull is Bitpay executive, Sonny Singh, also recently stated his thoughts on the current BTC price slash. According to Singh, with further developments and continued adoption, Bitcoin is likely to reach between $15,000 to $20,000 in 2019. However, Jamie Dimon of JP Morgan, seems to be having the last laugh. The financial expert has over time, bashed the virtual currency, calling it a fraud. Another critic, Stephen Innes, also stated that BTC would likely hit the $1,000 price level.